Maps have various prices, conditions of use and update frequency. 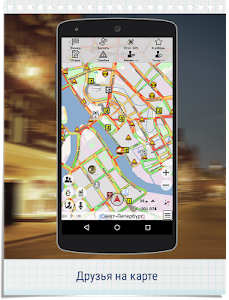 You select the maps you require from within the CityGuide application. Each map has a short description and a star rating, and a trial period is available. 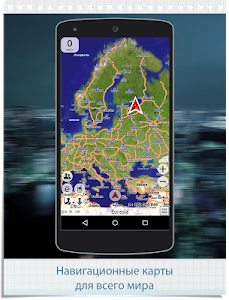 CityGuide is an OFFLINE navigation system, which does not require a permanent internet connection. Selected map data is downloaded to your device, so you do not need to be connected to the internet during use, thus significantly reducing costs. Full support for built-in hardware acceleration on most devices. Rapid map manipulation. 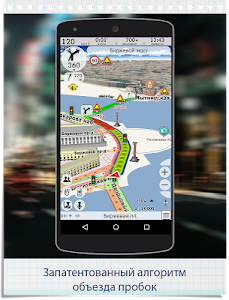 Instant route calculation, using traffic information where available. No need to wait until next major map update. Changes in road conditions on maps (e.g. closed roads, no traffic, one-way, turn restrictions, and more) are sent to the map daily and used during route calculation. When calculating a route, CityGuide uses our patented algorithm 'Jams-2', which takes into account direction of movement and traffic speeds. If traffic data is not available, statistical data is used instead. CityGuide provides advance warning of known stationary and portable speedcams. You can use CityGuide to track the movements of your friends (with their permission, of course!) You can also send them messages, leave comments, and plan trips together. 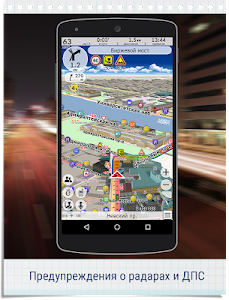 Use your GPS navigator as a walkie talkie with Push To Talk (PTT) radio service. 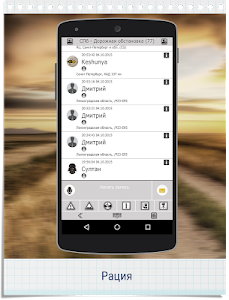 Talk to your friends privately or via public channel (like in Zello). From within CityGuide, you can call the emergency services or request breakdown assistance (country-dependent). - While driving, your first priority must be to follow driving regulations; use City Guide instructions only when it is safe and legal to do so. 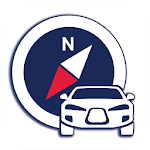 Similar to "GPS Navigator CityGuide"